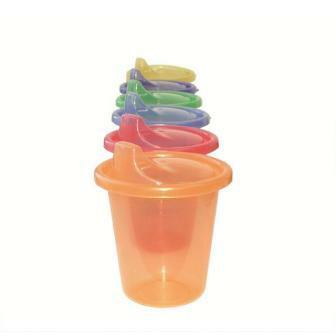 Fill your cup and snap lid in place - you have a sipper cup where ever you are. Lose or re-use, BPA free, snack cups also available. A Little Gulliver everyday favourite. The plastic no spill tumbler (holds 207ml) is a great way to introduce your yound children to drinking from normal cups, without any spilling. They are easy to use and clean. 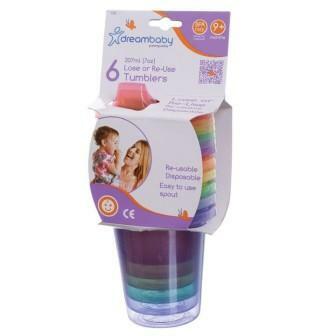 Re-usable or disposable, the spill-proof tumblers are a great addition to your kitchen or travel accessories. This product does not contain BPA.